Learn How to Make Math Stick with GMM — Get More Math! We’re looking forward to the third annual Connecting for Excellence Learning Summit happening next week (April 2, 2019) at Allegheny Intermediate Unit 3 in Homestead, PA. This wonderful event organized by Waterfront Learning gets teachers, administrators, and service providers together to learn how to best prepare students for successful careers. If you’re in the Homestead/Greater Pittsburgh area and would like to attend, click here to register, or you can click here to learn more about the Connecting for Careers event itself. We hope to see you there, and be sure to use the hashtag #wflconnect19 when talking about the show or presentation on social media! 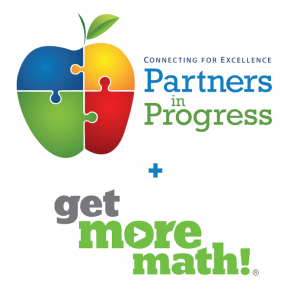 Previous Previous post: Get More Math is Hiring in Texas!